So now your big day is over. All the months of planning, food tasting, invite preparation and dress rehearsals have come to an end. Now you’re left wondering what next? You were so busy planning and working towards this day, and now that it’s come and gone, you’re not exactly sure what the next step to take is. Well good news, you’ve come to the right place. After all hustle has simmered down, here’s what to do immediately after your wedding day. Say Thanks. Your wedding did not succeed all by itself; there were people who worked hard to ensure that it did. Now is the perfect time to say thank you to them. Let your vendors know that they did an excellent job and sort out any outstanding tips or fees. If they have websites or online profiles, they your best to leave reviews on them. Even though they’ve been paid for it, everyone likes to hear that someone thinks they did a great job. Also, you probably received gifts during your wedding. Courtesy demands that you say thanks to everyone one who made it to your wedding, and brought a gift along. In case you are wondering, no you cannot send a thank you note via email. Pick up your phone and make that call or send a hand written note in the mail, that way it doesn’t seem like they were an afterthought or an item on your to do list that you wanted to check off. Return all items and check for damages. 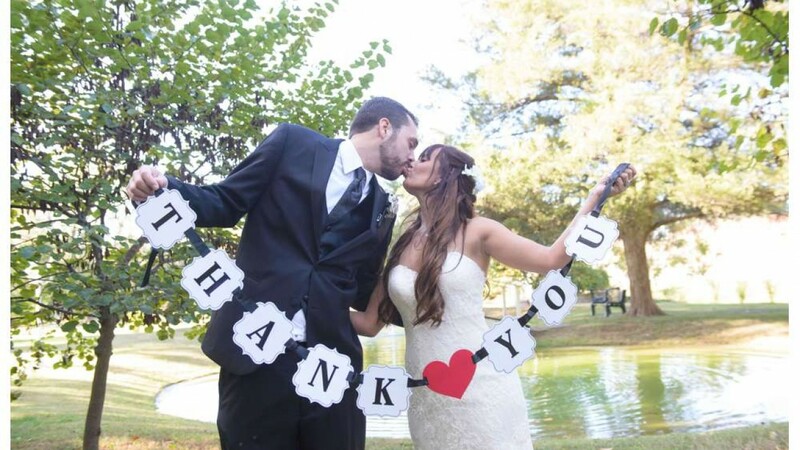 Chances are you rented a couple of things for your wedding. Once the wedding dust has settled, it’s time to return to Caesar what belongs to him. Take inventory of all rented items and ensure that nothing is missing. If indeed there are missing items, do your best to find them out and if you can’t, start making plans to replace or pay for them.Also, you need to scan the wedding venue to find out any damages that may have occurred during the course of your wedding. If there are, you’re responsible for them so work out a plan to resolve that. It is also necessary to set up a lost and found for items that may have been left behind at the wedding venue. Depending on how intimate your wedding was, you may want to take the items home or you can tell your wedding venue to keep them safe till the owners come to claim them. File your marriage license. In most states, the officiating minister is responsible for filing your marriage license. It may take a few weeks for the government to document it and formalize it. Once that process is concluded, you should expect your copy of the license. Now you can go ahead and change your name and update any documents you want to. Take care of your dress. Once the wedding is over, you’d want to send your dress to the cleaners. After that, you need to consider what you will do with it for the future. Most people choose to preserve it. You can either simply keep it in the bag or use a professional preservation service.Another option is to not keep your dress. You could donate it or sell it. This way, someone else can enjoy it as well! These are only a few of the things to do immediately after your wedding day. In addition to all of this, you may want to look into getting tickets for your honeymoon, upgrading your insurance plans, sorting out things you both don’t need and sending them to storage. Most importantly, after your wedding ceremony, relax! The wedding planning and execution was a whole lot of work and you need some time off to recuperate. You have your whole lives ahead of you, slow down and enjoy the ride.